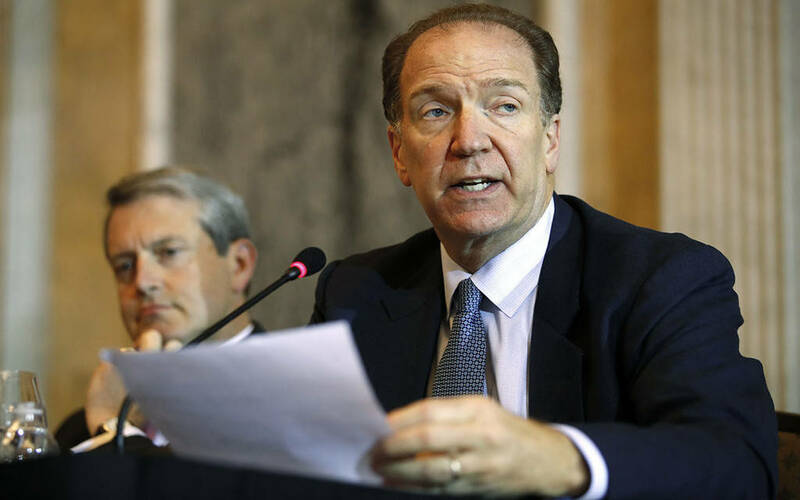 Direct : According to press reports that US President Donald Trump intends to nominate David Malpass official at the Treasury Department in the United States as director of the World Bank. People familiar with the matter told Bloomberg on Tuesday that the official announcement of the matter would be made later this week after Trump delivered the State of the Union address scheduled for today. The sources confirmed that the US administration began yesterday to communicate with the member states of the bank to increase support for Malabas. The final word on the appointment of Malpas is the 189-nation Executive Board. Mr Malpas described the World Bank as too big, too inefficient and hesitant about stopping support for developing countries that have become engines of growth. The 62-year-old joined the Trump campaign early as an economic adviser, and as the Treasury's international affairs agent, he enthusiastically backed the president's agenda for tax cuts and deregulation to boost economic growth. Prior to that, Malpas held senior positions in Treasury and government departments under Ronald Reagan and George Bush, and was chief economist at Bear Stearns, an investment bank that collapsed during the global financial crisis.